Beaumonde is a Google Street View Trusted Agency. 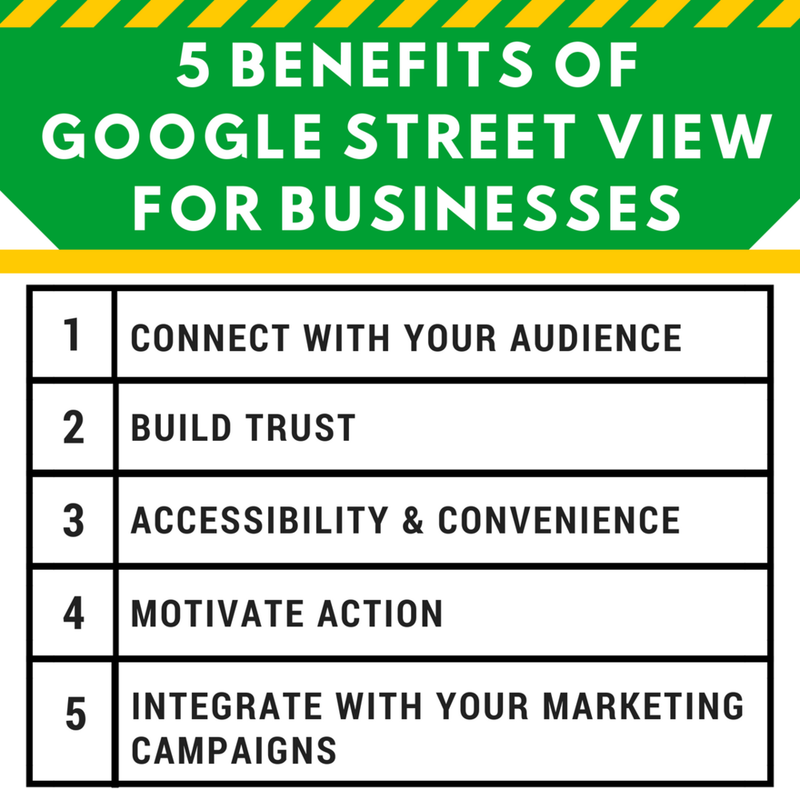 Keep reading to discover 5 wonderful benefits of Google Street View for local businesses. The City of Raleigh is growing like crazy! A Forbes study last year found the Raleigh metropolitan area was the fastest growing in the United States, increasing 47% from 2000 to 2012 (at a current rate of 3.4% per year!). New businesses are sprouting up left & right throughout the oaky City of Raleigh... and Google Street View is a great way for brands to distinguish themselves online while engaging with new people. Read on to learn about Google Street View benefits for businesses big and small, local and beyond. With the influx of new people in Raleigh, locals will want to explore online before they visit in person. According to Forbes, retailers state that 82% of consumers do research online before visiting a store. Google Street View is one of the best solutions for attracting your target market because it offers transparency and excitement. People value transparency and Google Street View encourages this, showing your business with doors wide open. 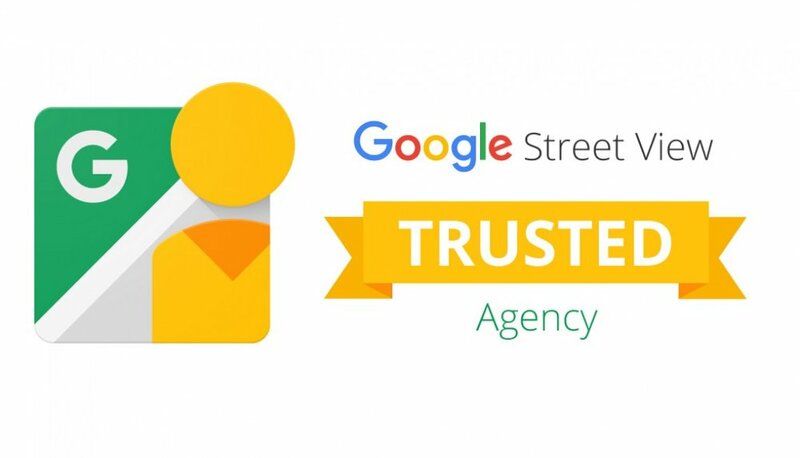 Businesses needing to get the attention of new people can use Google Street View to engage interest, increase trust, and connect with communities. A Google Street View map creates connections with people by putting a face to your business' name. For Example: pretend you own a restaurant in the City of Raleigh that has a great patio atmosphere. Before coming for dinner, people naturally will want to see if your restaurant will be worth their time and money. A powerful 360Â° photo or tour via Google Street View builds trust and motivates people to come visit. At the same time, any questions potential visitors may have are instantly answered (whether about location, atmosphere, seating, viability for their personal needs, or anything else). Having your business on a Street View map gives people a behind-the-scenes look at your business. It shows that your business has personality. Plus, search results that have Google Street View are more engaging. This cuts through the buzz of search results, and social media, while reaffirming the efforts of your marketing campaign to describe your value. Tours in 3D on Google Maps are easily accessible. Check out this screenshot below of my mobile search on Google Maps. See how close the 360Â° tour is to the search bar? The 360Â° tour is there immediately when pulling up search results. All you have to do is click in to explore and learn more. With a growing population in Raleigh, more and more people are looking for things to do. People new to the area will have so much to choose from they won't know where to begin. Having your business on Google Street View shows people quickly if what you offer is what they're looking for..... all from the palm of their hand, or the comfort of their sofa. Plus, using Google Street View is easy to use on both desktop and mobile. When searching for a business on Google Maps, you don't need to look very far for an immersive experience. In only three clicks, people using Google can see spaces in full 360Â°. Raleigh-Durham Airport on Google Street View. People turn to Google for sources of information. In fact, 2 out of 3 consumers look for local business information on map sites/apps (see graphic below). Source: "Google Impact of Search Listings for Local Businesses"
Using search engines helps save time and aids in informed decision-making. Having your business on a street view map also aids in likelihood of purchase. People get what they're looking for while searching more quickly through visuals, not just text. Did you know, people retain 80% of what they see versus only 20% of what they read. The quickness of visual messaging from a street view map leaves a more lasting impact on people searching through Google. Be a place people want to come visit! How many potential sales are lost because people choose to go elsewhere simply because your business seemed too unfamiliar online? Even though it's an option to do active marketing (e.g., pay for a 360Â° marketing campaign), you can use Google Street View as a form of passive marketing as well. Putting 360Â° photos of your business on a Google Street View map means your content is just there, there forever. It's not something you have to maintain. People can interact with your 360s on Google street view on a daily basis. 3D on Google Maps is like evergreen trees, once planted they're there year-round. This works great for small businesses in any discipline (from restaurants in Raleigh to art museums). P.S., if you are a new business in the City of Raleigh, getting a virtual tour on Google Street View is your (not so) hidden gem. Our 360Â° virtual tours work not only for Google Street View. 360Â° tours integrate seamlessly on websites, social media, and as a part of content marketing strategies or marketing campaigns. Your 360Â° tour could be embedded on your website or Facebook page today. In addition to Google Street View tours and 360Â° content services, we also do branding, marketing, and can help with distribution across social media platforms. Interested in getting started or have questions about Google Street View benefits for your business? Contact us for a free 15-minute phone consultation and letâ€™s build something together. New Raleigh Union Train Station - All Aboard Amtrak!